Taking Action, proactively doing things and not just thinking about them, thinking and planning ahead. All of these statements refer to INITIATIVE. A core competency about taking action and addressing current opportunities and challenges and not waiting around for someone else to take care of it. I am happy to share some awesome stories of how our PCL staff have shown initiative and taken action in the recent month. Its fall and the leaves are falling at the Malabar home. Most of the time the staff at this home are kept quite busy addressing the needs of the individuals supported so as you can imagine, the raking of leaves is not a priority. However, one staff Emma W. took action. On her own time, she went out and purchased yard waste bags and then came back to the home and raked up the entire lawn. Emma recognized this as a need and she acted upon it. We are so very appreciative of Emma and her ability to see what needs to be done and take care of it. Way to go Emma! It’s October, almost everyone is excited for Halloween, over the past years PCL has hosted a Halloween party and the Casey ladies and staff usually organize, t his year however, they were not able to do so. 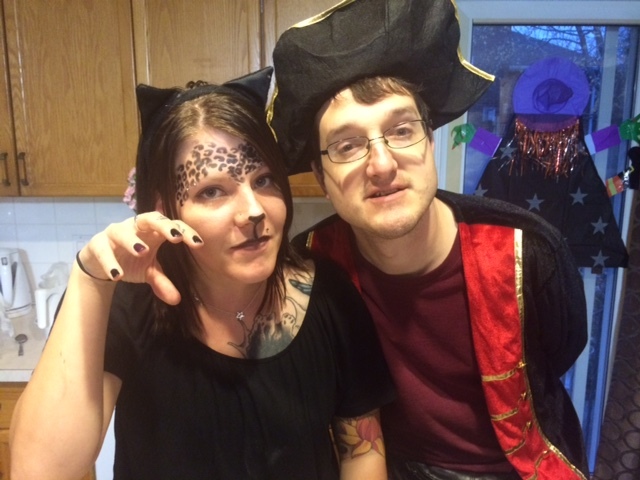 So instead of forgetting about the party, Jessica R. from the Stanwood home took on the role and she planned, organized, decorated and created an awesome fun Halloween party that was enjoyed by all who attended. Thanks so much Jessica for stepping up the plate, and coming up with some innovative ideas for the party. At the Monarch home suddenly all four of the individuals supported are at home. The house is full and people need something to occupy their time, keep them active and be a meaningful. Up step the Monarch staff, they get outside with the individuals supported and take care of raking up all the leaves. And then to have some fun Ashley S. comes up with an outdoor scavenger hunt for them to complete and together with the staff they search for different fall items such as a red leaf or a flat rock. 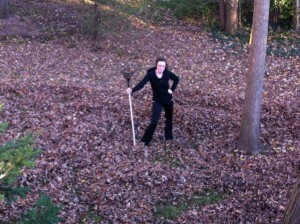 The individuals supported had a great time, got some exercise and got the leaves raked. Way to go Ashley and the Monarch team. The Evelyn home is always busy, there are many individuals supported here with many different needs. They needed something to provide community opportunities for recreation and education. So Sonya M. recognizes the need and makes connections with other service providers, agencies and businesses to ensure that three are activities available to meet the needs of those supported through the Evelyn home. And, Sonya had the foresight to open up these opportunities to other homes and the individuals supported in these homes. Sonya arranged for PCL to have access to the Sunbeam pool every Monday evening and the Playsense snoozelin room every Friday. This is just a couple of the activities that Sonya and her team have set up to provide meaningful opportunities for those supported. Thanks a lot Sonya for taking the initiative and arranging for these to happen.